Want to know how to get wavy hair for men without having to use several hours of your time? While wavy hair is something guys might want – very few are actually willing to sit through an hour-long treatment to get it. 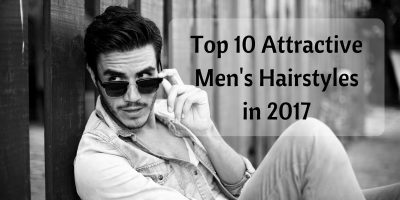 Fortunately, there are some natural ways for men to curl up their hair into thick waves. The bad news is that they’re not permanent, but when done often enough – your hair will eventually follow this flow. ​What About Long Term Waves? When Is the Best Time to Curl Your Hair? Guys with long hair have it easier. To create the waves, all you have to do is braid them and allow them to set in overnight or even just a few hours, making sure that there’s a rubber band tying the bottom so that they don’t unravel. Once you’re ready to look at your new locks, just remove the braid and run your hands on your hair. They should be sporting those wavy lines due to the braiding. This works best if you braid your hair when it’s still slightly damp so that the waves last longer. Note that small braids create small waves so try to keep that in mind when working out how you’ll tie them together. So let’s say you want wavy locks, you have long hair, and you have the luxury of time. Another option to get wavy hair for you would be the use of a curling iron. You’ve probably seen one before and know the basics of using one. Just grab a lock of your hair, wrap it around the curling iron for a few seconds and then quickly release it. Capturing small locks of hair creates tiny waves while large locks obviously create big ones. You can comb out the hair later in order to loosen the waves or give it more direction. The process might take some time, especially if you’re new to it. The good news is that it really works and it lasts for hours! Keep in mind though, that those curling irons can do horrible things to your hair if not used properly. For example, if you leave it on too long, it would probably burn off the hair. Guys who have short and straight hair will need the help of pomade to work wavy magic. Start off with your hair slightly damp so that it would follow direction better. Apply the pomade on your hair and start scrunching it on your hair. Work on this continuously until small waves become evident on your locks. You can control the flow of the waves with your hands to create that desirable look. 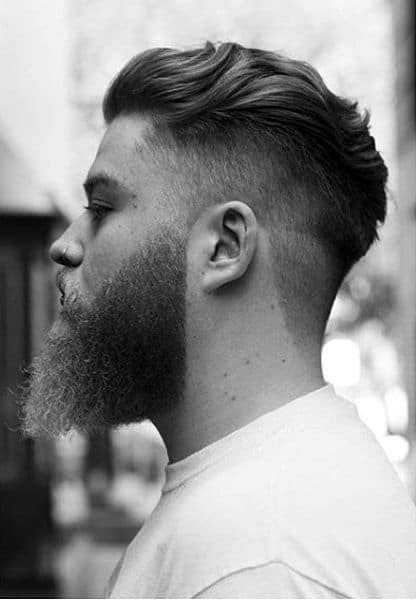 The pomade will help the waves set in so that you don’t lose the style for hours at a time. One good technique is to simply air dry your hair after scrunching it with a towel. After getting out of the shower, grab a towel and just scrunch it all over your head until most of the water is squeezed out. The scrunching process helps create the waves. Allowing your hair to air dry allows it to settle in your hair so that it dries with those natural-looking waves. Don’t comb your hair afterwards since this can get rid of the waves. Unfortunately, the waves created through this technique don’t last long – but it should get you through half a day or even a full day! ​If your hair is too short to scrunch or braid, you might want to buy lots of rubber bands. Opt for the kind used specifically for hair because the regular type can hurt a lot. Work waves into your hair by tying small clumps with a rubber band. You’re essentially making pony tails on your head but in really small amounts so that you can have around 8 bunches on top of your head. Like with braids, just leave them there for a few hours and do whatever it is you feel like doing. Take them apart afterwards, comb out your hair and enjoy! ​This is something used by women to increase and emphasize the curls in their hair. Guys can use it too, but it can be quite tricky if you have short hair. If you already have some hair curls, the texturizer can help enhance it. If you don’t have any, it can help create the curls you want. Ideally though, the texturizer should be used with other wavy methods. For example, you can use the product after removing your hair from its braid. If you want to ‘train’ your hair into growing more permanent waves, you’ll have to invest a bit more of your time into the process. Fortunately, there are products today that should help you with this. To start off, there’s Moroccan oil that you can apply on a daily basis to your hair. Use a pea-sized amount and apply it when your hair is still damp in order to lock in the moisture. Once the oil is in your hair, start combing it from the root in a wavy upward motion. This should help create the curls you want. The whole point of Moroccan oil is for your hair to grow stronger and thicker while at the same time promoting waves. Some guys use a bald cap overnight after application. The bald cap scrunches up the hair so that it creates a natural wave overnight. If you don’t have Moroccan oil, coconut oil or olive oil should work just as well. You can also train your hair from scratch. That is – you can have your hair cut really short and start working from there. By ‘short,’ we mean a few inches in length - just enough to apply hair gel onto it. Training includes applying the gel daily and combing it into the wave you want. To boost the effect, you can wear a tight bald cap at night to lock in the moisture. In the morning, wash your hair and repeat the process. Over time, you should notice that your hair is starting to adapt that naturally wavy form. If you keep up the regimen, you’ll find that it takes less and less work in order to get the curves you want for your hair. ​Creating waves on your hair is best done after taking a bath when the strands are still slightly damp. This makes them easier to control so that you can do whatever you want with them and increase the chances that they will settle into that wavy form. When applying anything on your hair, make sure that it’s been cleaned out. If you want to increase the chances of a curl, you can also use hair-curling shampoos that are marketed today. The best time to start curling your hair for long-term results is when it’s still short. It’s a lot like growing a tree wherein you give it direction while young so that it grows into the form you want. Your hair can get damaged with consistent use of chemicals and curling iron. Women often worry about their hair becoming dull due to lots of chemicals used on it, not to mention the exposure to heat which comes out of curling irons. Fortunately, you can reverse this problem by simply using hair products that nourish your hair. Conditioners and special shampoos that work perfectly with your hair type can help reverse the damage. The use of oil or an incompatible gel on your hair can cause dandruff. This can be quite itchy and will definitely compromise your self-confidence with your hair. Fortunately, there are some dandruff shampoos available on the market today. Combing your hair often should also help get rid of the flakes. 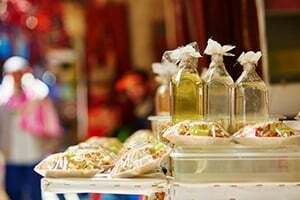 If you’re using oil – chances are you’ll start to attract that weird oily smell that comes out of long-term use. If you wash your hair thoroughly between each use however, the smell shouldn’t stick. This is perhaps the worst side effect of trying to create waves in your hair. This comes out of wearing a tight bald cap on a routine basis. Although scientists insist that tight caps don’t really promote baldness, there’s a risk that your hair will turn out flat after keeping it contained overnight. 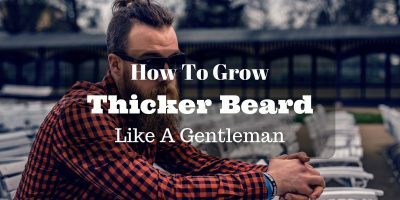 For this reason, it’s strongly advised that you use OTHER methods listed in here before opting for an overnight bald cap technique. 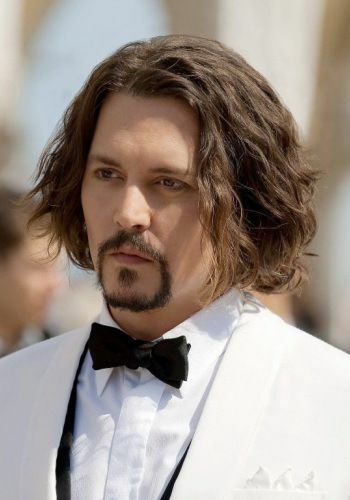 ​Learning how to get wavy hair for men is a piece of cake! Actually getting it done is easy too – but keeping those waves will take work and dedication on your part. Fortunately, the process won’t take more than a few minutes of your time each day.